To create a tensioning system or balustrade, tensioners are used in association with swage studs and are ideal to use on stair, ramp or angled sections providing a beautiful end stopper. Keble's Trading supplies stainless steel hex tensioners in the range of size from M5 to M10 that will competently complete your balustrade projects. 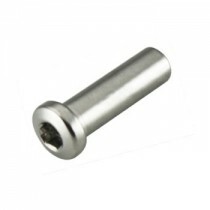 Our hex tensioners are produced using the finest 316 marine grade stainless steel. We source our Stainless Steel Tensioners from worldwide leading manufacturers that comply with strict international quality control standard to ensure that you get consistent high-quality products you expect without the skyrocketing prices. Turn to Keble’s Trading for reliable-grade TENSIONERS. Talk to us! We speak your language! We understand your business. Call us at 1-800-067-687 or fill out the contact us form below. No inquiry is too large or too small. We would love to be of service to you today!